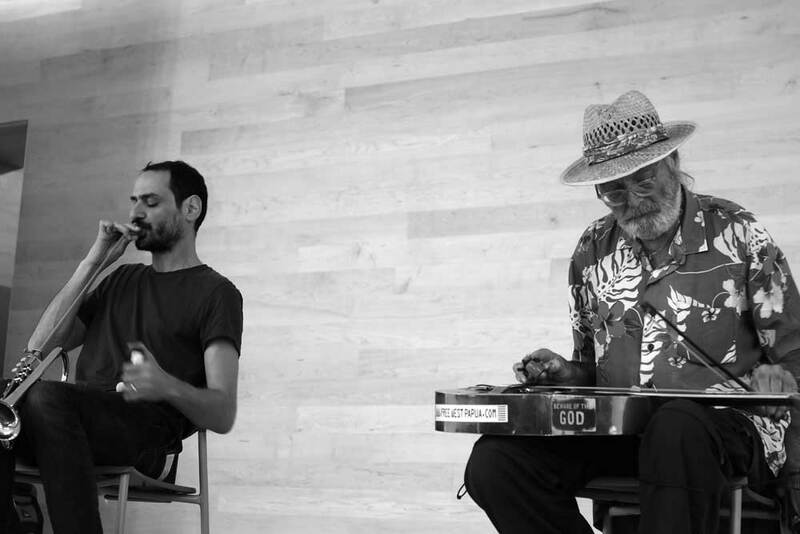 Akira Sakata and German Bringas at Museo Tamayo. Photo by Bradford Bailey. Within our heavily mediated reality, and the endless mirror of social media, it’s easy to ignore how quickly we’ve become a culture that talks at each other, rather than with each other. Despite the conception that the Internet has opened access and enables discourse, we are increasingly removed from those around us – caught in the “ground loop” of our own reflections. Nowhere is this more apparent than in the arts. In order to grab distinction, creative voices are encouraged to build singular worlds, free of collective, collaborative, or historical paradigm. Importance is placed on the individual, not our relationship to, and understanding of, broader contexts, or the perspectives of others. 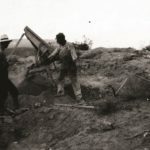 This is precisely the condition that the El Nicho festival, which occurred across Mexico City between the 11th and the 15th of May, sets out to challenge. 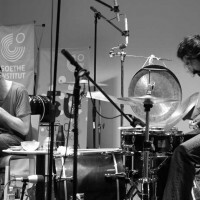 This festival of avant-garde music, founded by Eric Namour and in its sixth season, brings together a diverse group of experimentalists from across the globe, stressing cross-cultural exchange by placing them in close collaboration with each other and with peers and audiences from Mexico. 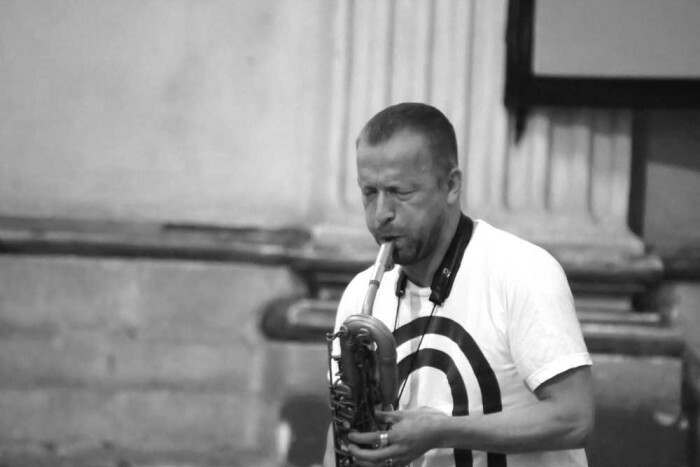 Like much of experimental music, it attempts to “democratise” sound, challenging us to reconsider what we understand music to be and the character of collaboration and social dynamics. 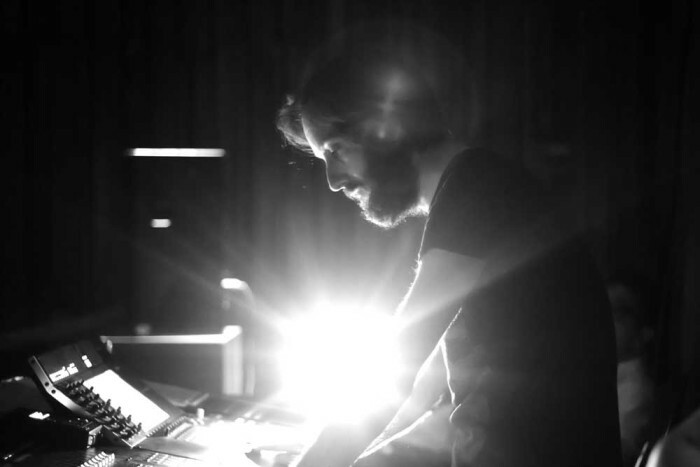 At the festival’s outset, it was apparent that the world of experimental music has no veil. 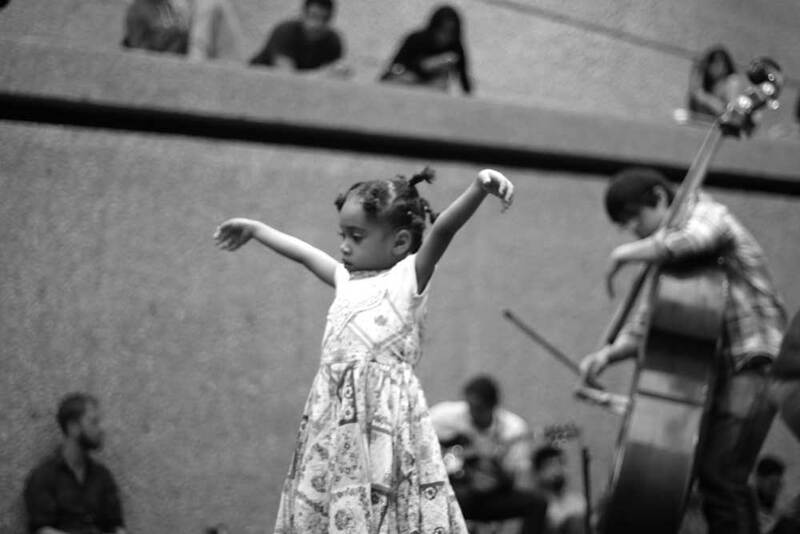 Audiences and artists mingle and meet, as do their sounds, regardless of background, preference, or philosophy. This is a world of discourse, focused listening, and openness. Mazen Kerbaj at Goethe-Institut. Photo by Bradford Bailey. After a number of talks and pre-events held over the course of the preceding week, the festival kicked into full swing at the Goethe-Institut Mexiko. This first evening highlighted El Nicho’s core intercultural philosophy: a German artist meeting a Lebanese artist, and both collaborating with two from Mexico. 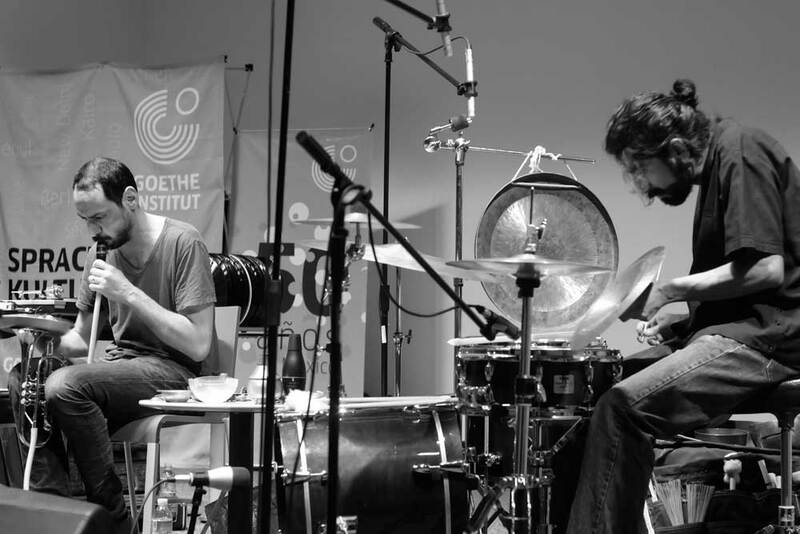 It began with an improvisation between Mazen Kerbaj (LB) on adapted trumpet, and Darío Bernal Villegas (MX) on drums. From the first squeal of Kerbaj’s horn, both proved their profound depth, understanding, and intuition – working together as rhythms shattered the delicate, carefully placed sonorities. 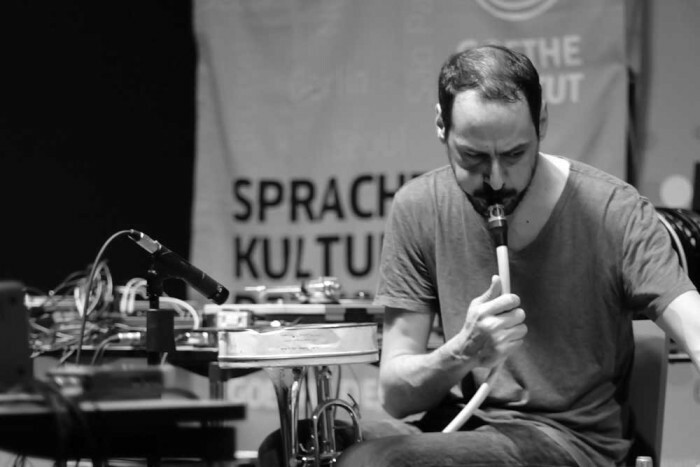 Experimental turntabelist Ignaz Schick (DE) was then joined by violinist Carlos Alegre (MX) for a sonic assault of delicate introspection, which defied any expectation, before a wonderful collaboration between the evening’s four musicians. Despite differences in background and approach, each rose to the occasion, issuing a brittle, intelligent set, challenging the audience with incongruous interrelationships. From its outset, the night pushed expectations for everything to follow over the course of the festival. Carlos Alegra at Ex Teresa. Photo by Bradford Bailey. On Thursday, audiences gathered at Ex Teresa Arte Actual for an intervention, challenging the space, performers, listeners, and expectations of sound. Confronted with two stages, the audience was forced to shift between a series of alternating acoustic and amplified performances. The conceit was brilliant – punctuating the event with confusion and movement. After two underwhelming sets, things quickly escalated with a palate cleansing performance by Carlos Alegre (MX). His blistering violin and vocals wove a brilliant atonal and harmonic construction, raising the bar for the sets to come. As the audience drifted into the adjoining space, his challenge was met by a stunning solo set by Mazen Kerbaj (LB), who exceeded the lofty heights he achieved the night before. He was followed by Mike Cooper (GB), who met Kerbaj’s challenge with heart wrenching force. His guitar playing, electronics and vocals were stunning. John Hegre played a wonderful set of fed-back guitar, seeming to collapse the arches of the former church, before a fantastic performance by Juan Sebastian Lach of James Tenney’s For Ann (rising). The night concluded with a fierce Free-Jazz set by Arashi [Akira Sakata (JP), Paal Nilssen-Love (NO), and Johan Berthling (SE)]. 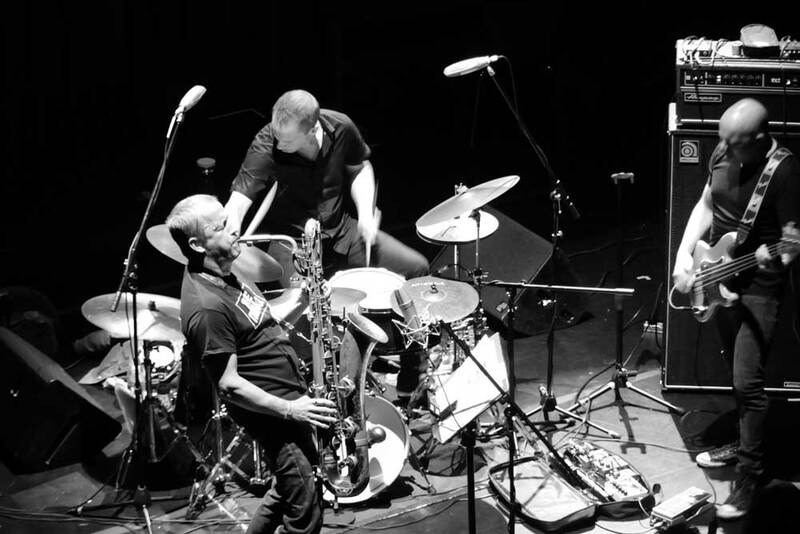 Though the audience seemed ready to collapse after an overwhelming event, the trio whipped them into a frenzy and were met with more enthusiasm than I’ve seen in a long time – giving a fitting conclusion to an evening of remarkable sonic range. 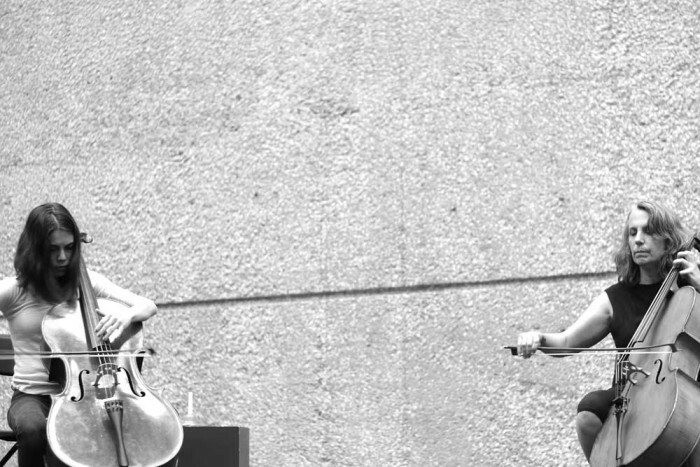 Akira Sakata, Ignaz Schick, and Ingebrigt Haken Flatten at Plaza Los Ángeles (Guerrero). Photo by Bradford Bailey. The next afternoon a small group of fans and locals gathered in Plaza Los Ángeles (Guerrero) where Akira Sakata (JP), Ignaz Schick (DE), and Ingebrigt Haker Flaten (NO) met for a solo set by Sakata, and a trio performance. The event was a brilliant collaboration with the mobile library ALUMNOS47 who bring their contents to underprivileged neighbourhoods across the city. Sakata’s performance was deeply moving. 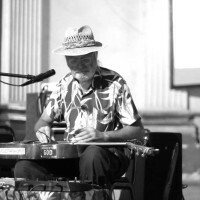 I was particularly struck by his rendition of Kalaparusha Maurice McIntyre’s Humility In The Light Of Creator, before the group joined as a trio for a blistering set, ricocheting down the streets and puzzling onlookers. 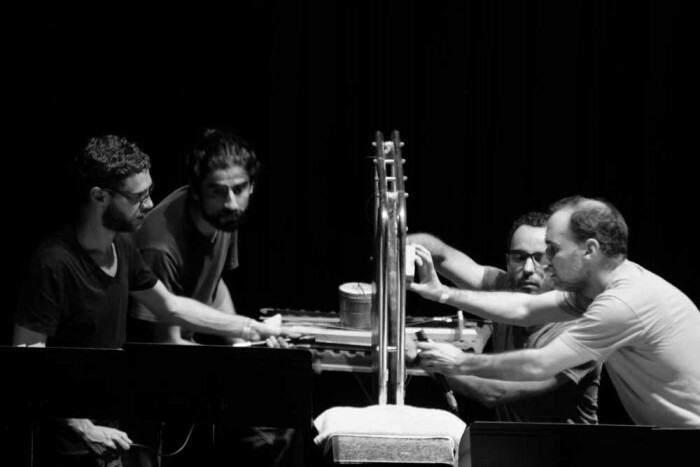 Darío Bernal Villegas, Alejandro Castaños, Ramón del Buey, Juan Cristóbal Cerrillo, Carlos Iturralde, and Iván Manzanilla perform Stockhausen’s Mikrophonie I at Centro Cultural de España en México. Photo by Bradford Bailey. 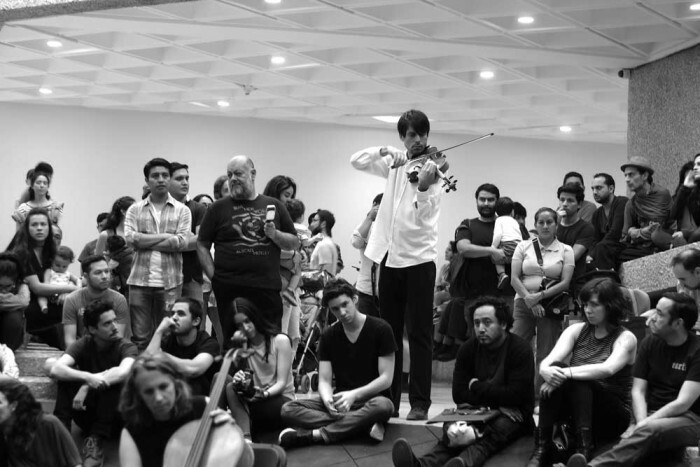 As the sun set, a reinforced audience gathered at the Centro Cultural de España en México for an evening addressing the diversity within avant-garde sound practice. It began with a stunning performance of Stockhausen’s Mikrophonie I by an ensemble made up of some of the finest voices in Mexico City’s thriving avant-garde scene (Darío Bernal Villegas, Alejandro Castaños, Ramón del Buey, Juan Cristóbal Cerrillo, Carlos Iturralde, and Iván Manzanilla). Outside stuffy confines of a symphony hall, they breathed new life into the work. 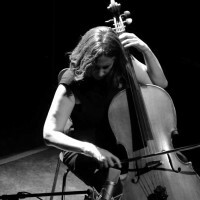 This was followed by a stunning solo cello performance by Lori Goldstein that brought me to tears. Leafcutter John performed an interesting set with light triggered electronics, before The Thing, the Free-Jazz super group of Ingebrigt Haker Flaten (NO), Mats Gustafsson (SE), and Paal Nilssen-Love (NO), took the stage for a blistering frenzied performance, met with such enthusiasm that I couldn’t help but wonder why Free-Jazz doesn’t have a thriving life in Mexico City. 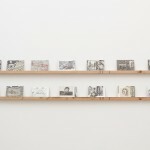 Mats Gustafsson at Ex Teresa. Photo by Bradford Bailey. Saturday proved to be a full day, beginning at Ex Teresa Arte Actual. 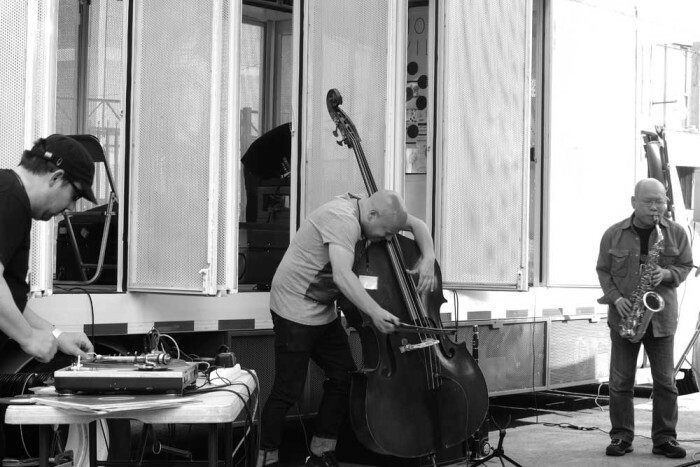 After a strange talk / intervention between Moniek Darge, Francoise Vanhecke and Rolando Hernandez, one of Mexico City’s more interesting young voices, Johan Berthling played an incredible set of solo bass improvisations, defying all sense of categorisation. This was followed by a brilliant collaboration between Mazen Kerbaj, Ingebrigt Haker Flaten, and Lori Goldstone, which was one of my favourite sets of the festival, before the event concluded with a solo gesture by Mats Gustafsson – more than proving his worth as a solo composer. Francois Bonnet at Centro Cultural de España en México. Photo by Bradford Bailey. Later the crowd regathered at Centro Cultural de España en México for a night of multi-media exploration. Bonnet, current director of Groupe de Recherches Musicales, founded in Paris by Pierre Schaeffer in 1951, performed a stunning acusmátic presentation of historic works from the studio on an 8 channel speaker system surrounding the audience, before giving a mind blowing performance of his own work under the moniker Kassel Jaeger. This was followed by a beautiful performance of James Tenney’s Fabric for Ché by Juan Sebastian Lach before the night concluded with a mind bending live cinema event performed by Greg Pope and John Hegre, which found Pope drawing on 16mm film as it passed through the projectors while Hegre improvised the sound in front of a mesmerised audience. Alexander Bruck at Museo Tamayo. Photo by Bradford Bailey. 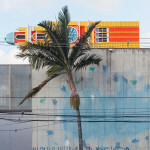 Sunday, the festival’s final day, held at the Museo Tamayo, was its most ambitious. With countless events, talks, and concerts, it was almost impossible to keep track of the fury of activity. With around 2500 hundred attendees over the course of the day, it was also its most successful. The day got rolling with a beautiful performance by Alexander Bruck of James Tenney’s Koan, which upon conclusion was overtaken by ensemble Liminal / Sonidero’s overwhelming rendition of the composer’s In a Large Reverberant Space – helped by an unexpected and beautiful improvised dance routine by a young attendee. 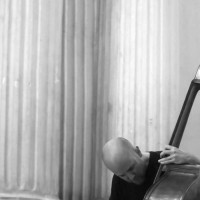 This was followed by a brilliant performance pairing Mike Cooper with Mazen Kerbaj, which was one of the highlights of the day, only matched by Lori Goldston and Aimée Theriot’s wonderful improvised collaboration for two cellos. The event was deeply inspiring. 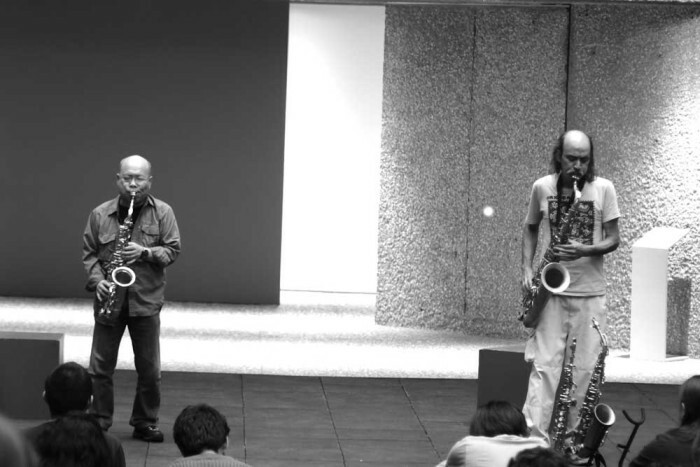 It displayed the inclusive and expansive character of experimental music, opening us to its vast sense of possibility, before concluding with a deeply spiritual duo for two saxophones by Akira Sakata and German Bringas, wrapping up the day on a lofty high. Aimée Theriot and Lori Goldston at Museo Tamayo. Photo by Bradford Bailey. I can’t say enough good about the sprawling week. It was a lot to take in. Some performances were brilliant, others were not, but the allowance for taste and failure is what makes the festival and this music great. Against the efforts of its remarkable participants, I am forced to look at the whole. The ambition of cross-cultural exchange, and the hope of sharing the joys of entering a challenging world of sound, threaded through the days. It is this spirit that remains with me more than any single moment, reminding me of what is wonderful and important about the arts – of the need to exit our mediated realities, stand in a room together, and embark on adventures that defy prediction. 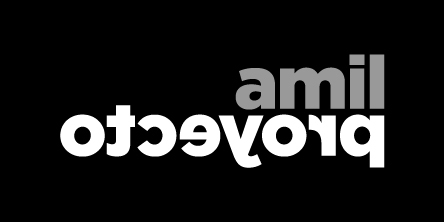 Ones that shatter the mirror of self, and return us to discourse. 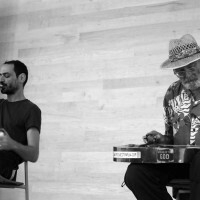 Akira Sakata y German Bringas en Museo Tamayo. Foto: Bradford Bailey. En nuestra presente realidad, fuertemente mediada por el espejo sin fin de las redes sociales, es fácil ignorar lo rápido que nos hemos convertido en una cultura en la que le hablamos al otro en vez de hablar con el otro. A pesar de la concepción general según la cual el internet ha abierto el acceso a la información y permite la discusión, nos encontramos cada vez más aislados de quienes nos rodean – atrapados en el bucle de nuestras propias reflexiones. En ningún campo es esto más evidente que en las artes. Con el fin de sobresalir, las voces creativas son estimuladas a construir mundos singulares, libres de paradigmas colectivos, de colaboración o históricos. Lo importante es el individuo, no nuestra relación y comprensión de contextos más amplios, ni de las perspectivas de los demás. Ésta es precisamente la condición que el festival El Nicho, que tuvo lugar en varios espacios en la Ciudad de México entre el 11 y el 15 de mayo, intenta desafiar. Este festival de música de vanguardia, fundado por Eric Namour y ya en su sexta edición, reúne un diverso grupo de músicos experimentales de todo el mundo, poniéndolos en estrecha colaboración entre sí y con el público de México, haciendo así énfasis en el intercambio cultural. Al igual que gran parte de la música experimental, el festival pretende “democratizar” el sonido, retándonos a reconsiderar lo que entendemos como música, colaboración y dinámica social. Al inicio del festival era evidente que el mundo de la música experimental no tiene ningún velo. El público y los artistas se encuentran y se mezclan, al igual que sus sonidos, independientemente de sus orígenes, preferencias o filosofías. Éste es un mundo de discusión, de escucha, y de apertura. Mazen Kerbaj en Goethe-Institut. Foto: Bradford Bailey. Tras una serie de conversaciones y pre-eventos realizados en el transcurso de la semana anterior, el festival empezó a toda marcha en el Goethe-Institut Mexiko. Esta primera noche destacó la filosofía intercultural que es el núcleo de El Nicho: un encuentro entre un artista alemán y uno libanés, y su colaboración con dos artistas mexicanos. Empezó con una improvisación entre Mazen Kerbaj (LB) tocando con una trompeta adaptada, y Darío Bernal Villegas (MX) en la batería. Desde el primer chillido de la trompeta de Kerbaj, ambos demostraron su profundidad, entendimiento e intuición – trabajando juntos a medida en que los ritmos rompían las delicadas y cuidadosamente situadas sonoridades. 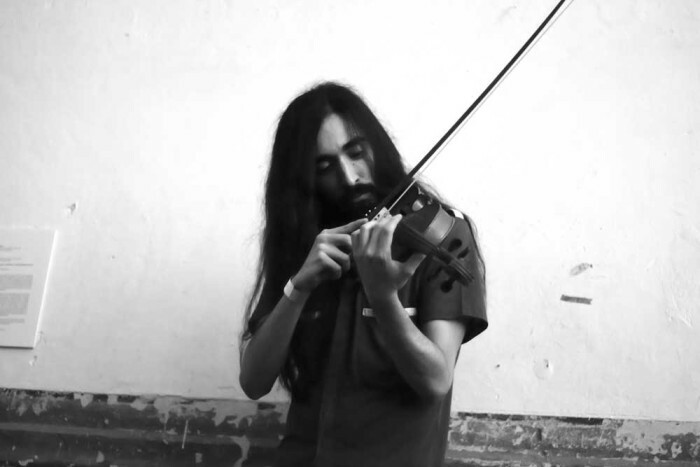 A continuación, el turntabelist experimental Ignaz Schick (DE) fue acompañado por el violinista Carlos Alegre (MX) para construir un asalto sonoro de delicada introspección que desafió cualquier expectativa, seguido por una maravillosa colaboración entre los cuatro músicos de la noche. A pesar de las diferencias de origen y de enfoque, juntos crearon un conjunto frágil, inteligente, retando a la audiencia con interconexiones incongruentes. Desde el inicio, la noche sobrepasó las expectativas para todo lo que siguió en el transcurso del festival. Carlos Alegra en Ex Teresa. Foto: Bradford Bailey. El jueves, el público se reunió en Ex Teresa Arte Actual para una intervención sonora que desafiaba al espacio, a los intérpretes, a los oyentes. La presentación se dividió en dos etapas, lo que obligó a la audiencia a alternar entre una serie de presentaciones acústicas y amplificadas. La presunción era brillante –puntuando el evento por medio de la confusión y el movimiento. Después de dos tocadas decepcionantes, las cosas se intensificaron rápidamente con una presentación exquisita de Carlos Alegre (MX). El destello de su violín y su voz tejieron una construcción armónica atonal y brillante, subiendo el nivel para las presentaciones siguientes. A medida en que el público se desplazaba hacia el espacio contiguo, el sonido de Alegra se encontró con un impresionante solo de Mazen Kerbaj (LB), que superó el alto nivel que ya había logrado la noche anterior. Éste fue seguido de Mike Cooper (GB), que respondió al reto de Kerbaj con una fuerza desgarradora. Su guitarra, sus sonidos electrónicos y sus voces fueron impresionantes. John Hegre tocó un maravilloso conjunto de guitarra fed-back, pareciendo hacer colapsar los arcos de la antigua iglesia, seguido de una fantástica interpretación de la pieza For Ann (rising) de James Tenney por Juan Sebastian Lach. 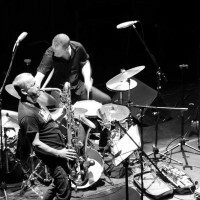 La noche concluyó con un feroz free-jazz tocado por Arashi [Akira Sakata (JP), Paal Nilssen-Love (NO), y Johan Berthling (SE)]. Aunque el público parecía a punto de desplomarse después de un abrumador evento, el trío los empujó a un frenesí y un entusiasmo que no he visto en mucho tiempo – dando así una conclusión adecuada a una noche de notable variedad sonora. 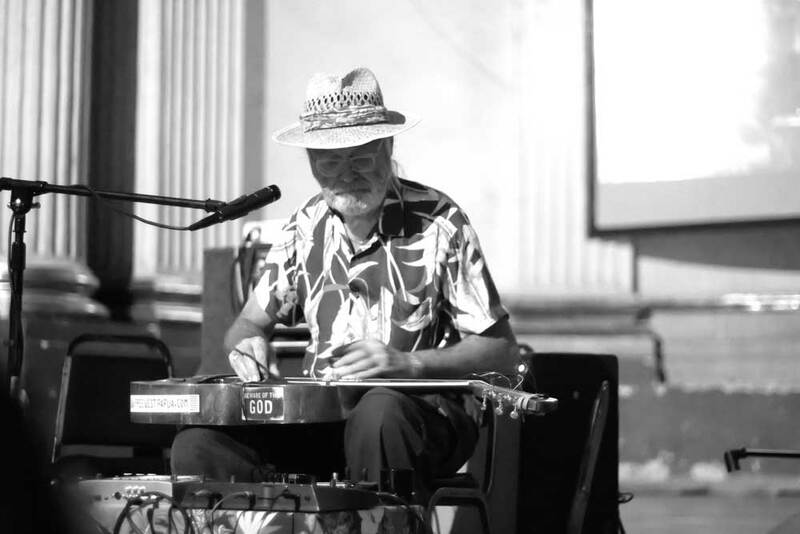 Akira Sakata, Ignaz Schick, y Ingebrigt Haken Flatten en Plaza Los Ángeles (Guerrero). Foto: Bradford Bailey. La tarde siguiente, un pequeño grupo de aficionados y vecinos se reunieron en la Plaza de Los Ángeles (Colonia Guerrero), donde Akira Sakata (JP), Ignaz Schick (DE), e Ingebrigt Haker Flaten (NO) interpretaron una pieza conjunta seguida de un solo de Sakata. El evento fue una colaboración genial con la biblioteca móvil ALUMNOS47, que lleva sus libros a los barrios desfavorecidos de la ciudad. El performance de Sakata fue profundamente conmovedor. Me llamó especialmente la atención su interpretación de Humility In The Light Of Creator de Kalaparusha Maurice McIntyre, antes de la cual el grupo se unió en trío para un conjunto arrebatador, el sonido rebotando por las calles y desconcertando a los espectadores. Darío Bernal Villegas, Alejandro Castaños, Ramón del Buey, Juan Cristóbal Cerrillo, Carlos Iturralde, e Iván Manzanilla interpretando Mikrophonie I de Stockhausen en Centro Cultural de España en México. Foto: Bradford Bailey. Mientras atardecía, una audiencia crecida se reunió en el Centro Cultural de España en México para una noche enfocada en la diversidad dentro de las prácticas de sonido de vanguardia. Comenzó con una impresionante interpretación de Mikrophonie I de Stockhausen por un conjunto formado por algunas de las mejores voces en la fértil escena de vanguardia de la Ciudad de México (Darío Bernal Villegas, Alejandro Castaños, Ramón del Buey, Juan Cristóbal Cerrillo, Carlos Iturralde, e Iván Manzanilla). Fuera de los confines sofocantes de una sala de conciertos, dieron nueva vida a la pieza. Esto fue seguido por un contundente solo de violonchelo por Lori Goldstein que me sacó lágrimas. Leafcutter John tocó un interesante conjunto con electrónicos activados por la luz, antes de que The Thing, el súper grupo de free-jazz de Ingebrigt Haker Flaten (NO), Mats Gustafsson (SE), y Paal Nilssen-Love (NO), subiera al escenario para una tocada abrasiva y eufórica, recibida con tal entusiasmo que no pude evitar preguntarme por qué el free-jazz no tiene una vida más activa en la Ciudad de México. Mats Gustafsson en Ex Teresa. Foto: Bradford Bailey. El sábado resultó ser un día intenso, empezando en Ex Teresa Arte Actual. Después de una extraña charla/intervención entre Moniek Darge, Francoise Vanhecke y Rolando Hernández, una de las voces jóvenes más interesantes de la Ciudad de México, Johan Berthling tocó un increíble conjunto de improvisaciones solistas de bajo, desafiando todo sentido de la categorización. Esto fue seguido por una colaboración brillante entre Mazen Kerbaj, Ingebrigt Haker Flaten, y Lori Goldstone, que fue una de mis tocadas favoritas del festival, antes de que el evento concluyera con un solo de Mats Gustafsson – que demostró su valor como compositor solista. Francois Bonnet en Centro Cultural de España en México. Foto: Bradford Bailey. Más tarde, la multitud se reunió de nuevo en el Centro Cultural de España en México para una noche de exploración multimediática. François Bonnet, actual director del Groupe de Recherches Musicales, fundado en París por Pierre Schaeffer en 1951, desplegó una imponente presentación acusmática de piezas históricas en un sistema de altavoces de 8 canales que rodeaba a la audiencia, seguida de una increíble presentación de su propio trabajo bajo el nombre de Kassel Jaeger. Luego vino una hermosa interpretación de la pieza Fabric for Ché de James Tenney por Juan Sebastián Lach. 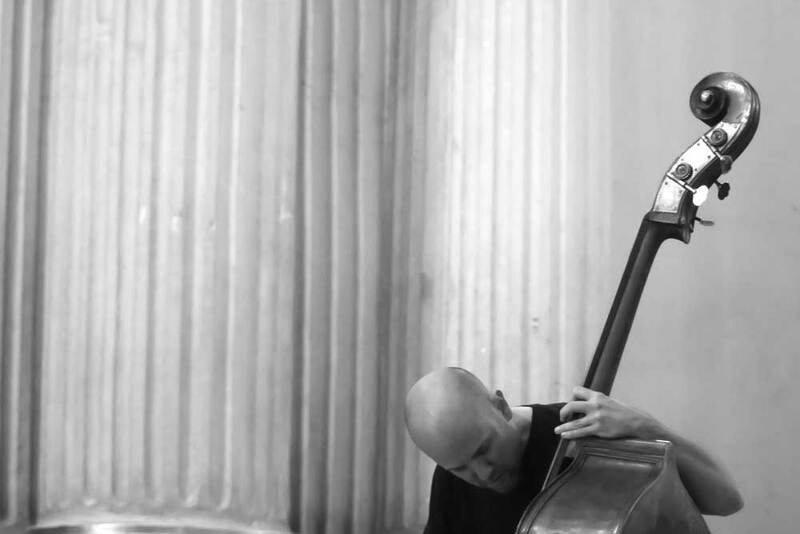 Finalmente la noche concluyó con un alucinante evento cinematográfico en vivo interpretado por Greg Pope y John Hegre, en el que Pope dibujaba sobre la cinta de 16 mm que iba pasando por los proyectores mientras Hegre improvisaba el sonido frente a un público hipnotizado. Alexander Bruck en Museo Tamayo. Foto: Bradford Bailey. 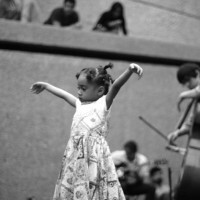 El domingo, último día del festival, celebrado en el Museo Tamayo, fue su día más ambicioso. Con innumerables eventos, charlas y conciertos, era casi imposible hacer un seguimiento del frenesí de las actividades. Con alrededor de 2500 asistentes a lo largo del día, fue también el día con mayor éxito. Empezó con una hermosa interpretación de Koan de James Tenney por Alexander Bruck, que luego fue superada por el ensamble Liminal /Sonidero y su rendición abrumadora de In a Large Reverberant Space del mismo compositor –ayudados por una hermosa e inesperada rutina de danza improvisada por un joven espectador. 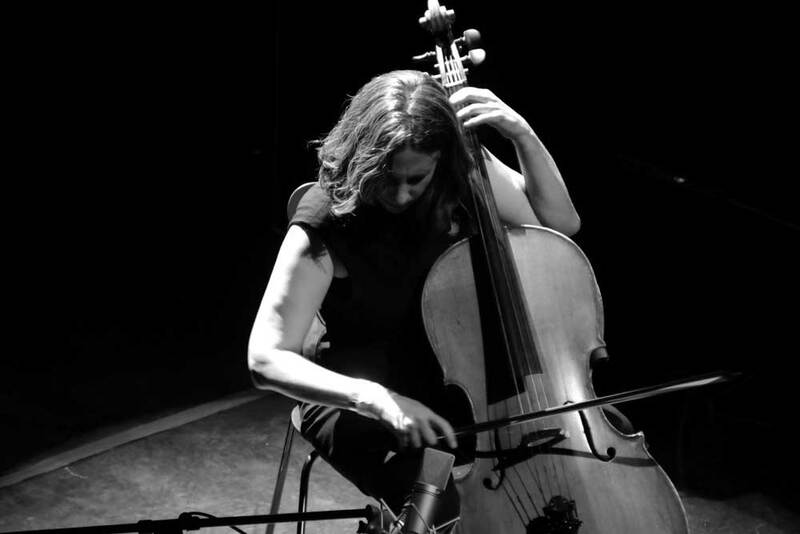 Esto fue seguido de una brillante actuación que unía a Mike Cooper con Mazen Kerbaj, uno de los aspectos más destacados del día, sólo igualado por la maravillosa colaboración improvisada para dos violonchelos de Lori Goldston y Aimée Theriot. El evento fue profundamente inspirador. Mostró el carácter inclusivo y expansivo de la música experimental, abriéndonos a sus amplias posibilidades, para finalmente concluir con un dúo profundamente espiritual para dos saxofones de Akira Sakata y German Bringas, cerrando el día por todo lo alto. Aimée Theriot y Lori Goldston en Museo Tamayo. Foto: Bradford Bailey. Son demasiadas las cosas buenas que puedo decir sobre la semana extendida del festival. Era mucho para asimilar. Algunas presentaciones fueron brillantes, otras no, pero el dejar campo abierto para el gusto y el fracaso es lo que hace valiosos al festival y a este tipo de música. En contraste con los esfuerzos de sus participantes notables, me veo obligado a mirar el conjunto. La ambición de intercambio cultural y la esperanza de compartir la alegría de entrar en un mundo desafiante de sonido se fueron desplegando a través de los días. Lo que conservo de la experiencia es ese espíritu, más que cualquier momento específico. Me recuerda lo que es maravilloso e importante de las artes –la necesidad de salir de nuestras realidades mediadas, estar en una sala juntos y embarcarnos en aventuras impredecibles. Aventuras que rompen el espejo de nosotros mismos y nos llevan de vuelta a la discusión.